DUBLIN, IRELAND--(Marketwired - February 11, 2016) - Research and Markets has announced the addition of the "Global Recombinant Coagulation Factors Market Outlook: 2015-2020" report to their offering. 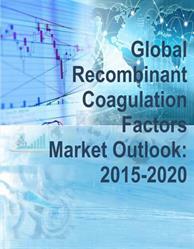 The global recombinant coagulation factors market is expected to reach around $9,939.7 million in 2020 and grow at a CAGR of 7.6% during the forecast period of 2015 to 2020. The global market is segmented on the basis of products, by hemophilia type, and geography. On the basis of product, recombinant coagulation factors market is segmented into three classes, namely, recombinant factor VIII, recombinant factor IX, and VonWillebrandfactor. By hemophilia type, global recombinant coagulation factors market is divided into hemophilia A and hemophilia B. By end user, global recombinant coagulation factors market is segmented into hospitals and clinics, research organizations, and academic institutes. In 2014, the recombinant factor VIII accounted for the largest share of the global recombinant coagulation factor market. The large share of this segment can be attributed to increasing number of hemophilia A patients and rising prophylaxis treatment. In 2014, North America dominated the market, with the largest share of 37.8%. The increasing number of hemophilia patients in the U.S., increasing diagnosis rates, and growing prophylactic treatment for prevention of bleeding helped the growth of this market. In addition, rising research on recombinant factor VIII is further expected to drive the growth of this market. 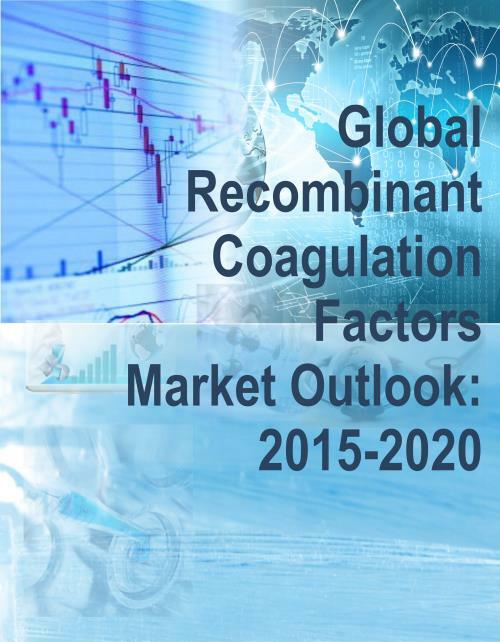 Major companies in the global recombinant coagulation factor market are Baxter International Inc (U.S.), Grifols International SA (Spain), CSL Ltd. (Australia), Octapharma AG (Switzerland), Novo Nordisk A/S (Denmark), Biogen Idec (U.S.), Bayer AG (Germany),Kedrion S.P.A. (Italy), and Pfizer Inc. (U.S.).